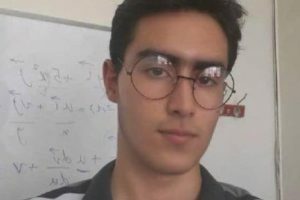 Editor’s Note: Iran Press Watch is grateful to have received the following account from a Baha’i young adult in Iran, whom we will only identify by his first name, Ali-Reza. This account is offered below in translation by Iran Press Watch. In the Name of God, the Creator! Respectfully, I declare that I, Ali-Reza … am a Baha’i and the son of a Baha’i. In 1996, I participated in the university entrance exam. At that time because of special circumstances (my mother being a staunch Muslim, had forbidden my father from having contacts with Baha’is), I, the only child of the family, was not even aware of my father’s religion as I was growing up. While filling out the application form, I marked Muslim in the religion column. Before the names of successful candidates were announced in the national newspapers, I was summoned by authorities of the Islamic Republic of Iran and the Organization for Evaluation and Assessment. After I was asked many irrelevant questions, I was notified that even though I had passed the entrance exam with flying colors and was eligible to enter medical school, I was not allowed to continue my education due to my father’s religion. I explained that there are no verses in the Qu’ran or the Constitution allowing discrimination against religious minorities; moreover, I insisted that I was a Muslim and was only born to a Baha’i father. I was told that the Baha’i Faith is not among official religions of the country, and its followers are spies of Israel, are anti-Islam and anti-Iran. After ceaselessly pursuing my dream of becoming a doctor, missing one school term, receiving threats and insults, accepting the condition set for me, I was permitted to enroll. The condition was that at no time and under no circumstances should I engage in any teaching of the Baha’i Faith – about which I did not know anything anyway, though I was raised in a home with a Baha’i father. However, a few years later when I started investigating and finally accepted the Baha’i Faith, I realized that I had been raised under the principles of the Baha’i Faith. Unfortunately, the harassment did not stop when I entered university. With every change in the staff, I was interrogated by the Security Committee again and again. All along, the only accusation that I was charged with was that my father was a Baha’i. I was often summoned for investigation and pressured to follow Islam. Each time, I was asked irrelevant questions which I found very hard to deal with. I was becoming emotionally drained, especially when they were associating Baha’is with espionage. In 2002, I was a resident physician, finishing the last term of my medical school, serving in hospitals. Prompted by a spiritual dream that I had, and the curiosity aroused in me by the authorities’ questions, I began to investigate the Baha’i Faith by searching the internet. I wanted to find out about this Faith that I was strongly forbidden to mention to anyone, that I was harassed about so many times throughout so many years. Finally, I accepted the Baha’i Faith. I was so touched by the Most Holy Book and the Book of Certitude that I could not contain myself and conceal my faith. My close friends, my classmates and then the Basij [Islamic militia that interferes in all aspects of people’s lives] became aware of it and notified the Security Committee of the university. I also mentioned my belief to the Khademin, who guided me and asked me to be wise [meaning not to proclaim his Faith too openly and thereby jeopardize his life]. After accepting the Baha’i Faith, not only did I lose my friends (though not all of them), but I was subject to the anger and hatred of all my relatives and some of my wife’s relatives. They even tried to force my wife to separate from me. However, she was investigating the Faith as well, and had a favorable view of it. She stood strong and did not bend under their pressure. Since that time, I have been in touch with the Baha’i community, have taught my faith and have increased my knowledge of the faith. I have also trained and educated my children by following the teachings of the faith. 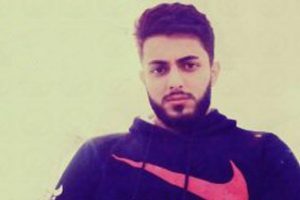 After becoming aware of my acceptance of the Baha’i Faith, the Security Committee of the university summoned me and started interrogating me. They told me that based on information received from their sources, they knew that I had been in contact with “elements of the misguided sect” and that I had caused “disturbance in public minds”. I responded and rejected their accusations. I said I had just accepted the Baha’i Faith and had done nothing to cause any disturbance to public minds. They were dismayed by my responses and were angered by my steadfastness in my belief. I was finally charged with being a cause of “disorder at the university” and “disturbance of the minds of students”. I was expelled from the university dormitory, banned from university for two years, forced out of medical school and compelled to major in physiotherapy. I strongly objected, complained to the Ministry of Health and also to the judiciary and even wrote to Mr. Khatami, President of Iran at that time. All my efforts were in vain. I was warned repeatedly that I should not discuss any of what was happening with anyone. In the two years that I was banned from university, I purchased a small car, financed by selling my wife’s jewelry and obtaining a car loan. I started a taxi service between cities to provide for my family. Being away from medical school and serving patients at hospitals that I cherished so much caused a lot of stress. Repeatedly I sought counseling. Even the counselor, after finding out the reason for my depression, wrote to the university officials in the hope that I would be permitted to go back to university, not knowing my depression and dismay were exactly what the authorities wanted to achieve. Since that time I have always felt irritated, impatient and depressed. Eventually, after my two-year dismissal from university ended, despite my desire to finish medical school, I had no choice but to change my field to physiotherapy. However, I was still not left alone. The Ministry of Health continued to write confidential letters to the university officials and vice versa discussing my dismissal – I have related documents in my procession which I am forwarding. Finally, after receiving notice from the Ministry of Health, I was prohibited from registering. I was called to the security office and was questioned by the authorities. Being angered by my responses; I was physically assaulted by the Basij and by security personnel. Due to the efforts of my uncle, I was not arrested or charged. 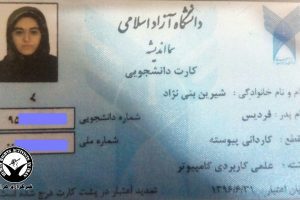 In 2004, after Baha’i students were allowed to enter universities (almost all of them have been expelled by now), I too enrolled. I successfully finished my studies and received a perfect mark on my final report. Even though I had paid all my tuition and I owed nothing to the university, I was sent back again and again between offices and at the end I was told that due to problems in my file and based on a directive from the Ministry of Health, a certificate for the completion of my education could not be issued. I tried many times, contacted many officials, but I could not even get a temporary certificate of completion for my studies. The final verdict was that as long as I insisted on my religious beliefs, it would be impossible to get my certificate. I was not given any written document of what I was told. I personally contacted the Ministry of Health many times asking for the written ruling. Finally, one employee who was very helpful gave me a copy of the communication. Needless to say, after accepting the Baha’i Faith we were not spared from harassment by our neighbors and some of our former friends. Even our car was not left alone. Sometimes, we would see scratches, a broken mirror, or four flat tires. Our son has been under duress in school and finally we were forced to change his school. All the pressures and agitation inflicted upon our lives has affected our younger son as well, the effects of which are noticeable in his behavior and have caused stuttering in his speech. I am very sorry for your suffering, the product of persistent spiritual blindness by the people of Iran. Ever since I became enchanted with the teachings, in Cuba, I thought that a good support to our dear brothers and sisters in Iran would be that a group of friends from all over the world visited Iran at the same time and once there, ask to be put to jail because of our faith. I know it is a crazy idea, but it would be beautiful. I would be the first to go. Thanks for sharing your story with us Ali-Reza! People need to hear it, and they are hearing it! If anything good arises during this period corresponding with the imprisonment of the Yaran, it is a heightened awareness around the world and in Iran of the extent of the persecution of the Baha’is in Iran. Maybe this is what is needed. Our thoughts are with you! What a steadfast man of God you are. It is certain that your steadfastness will become an example for thousands and thousands of civilized Iranians who will investigate the Faith of God and enter in its undestroyable Arc. The protection of Allmighty God be with you and your family. Your son and next generations will be proud beeing part of your precious family. Evrey sick person meeting you will be healed through your detached power of faith. There is some light in the world. Just this morning, by invitation last week, I (a native of Kansas, where I continue to live, and Baha’i of four decades) led Quran class at the local mosque. The Imam and I have been friends for several decades. He is as aware as I am of the unique nature of my standing in his mosque. I pray there often. I have frequently given talks on on the Baha’i Faith as a quest speaker. I have attended Quran class for some time and was now invited to lead the class. The Imam was impressed with my perspective. I was able to mention Tahrif, the concept of corruption of sacred texts, and shared Baha’u’llah’s explanation that is is the meaning that has been corrupted, not so much the text itself. It has been admitted often in the class that it is not a human responsibility to render judgement or punishment for spiritual reasons, it is God’s alone to decide.